The Veris 3100 Soil ECa Mapping System (Veris Technologies, 2000) measures the apparent electrical conductivity (ECa) of soils. ‘Apparent soil electrical conductivity’ (ECa) is measured by direct contact in the field by passing an electric current through the upper part of the soil profile. 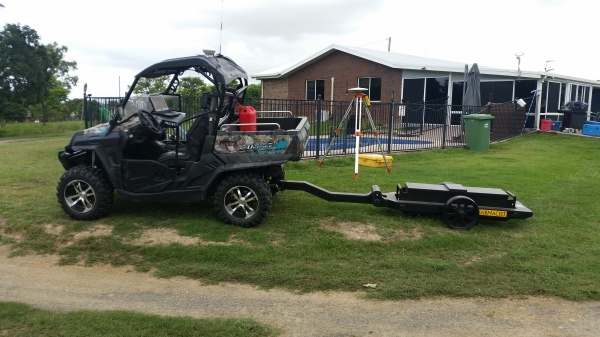 The Veris machine can record values at 300mm and 900mm depths. Changes in voltage of the return signals, recorded at specific locations in the paddock, indicate the concentration of electrically conductive material in the soil. 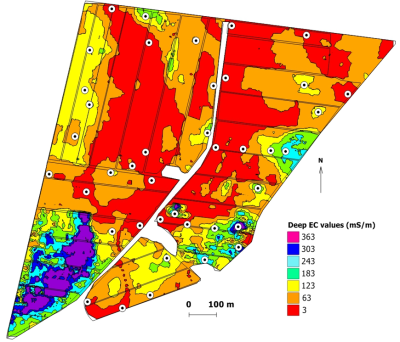 EC maps are not soil maps but we have found that EC values can correspond to soil types and areas of salinity/sodicity once ground truthing has been conducted. The EM38-MK2 provides measurement of both the quad-phase (conductivity) and in-phase (magnetic susceptibility) components within two distinct depth ranges, all simultaneously, without any requirement for soil-to-instrument contact. With a maximum effective depth of exploration of 1.5 m, applications in agriculture, archaeology and general soil sciences are common. The standard EM38-MK2 includes two receiver coils, separated by 1 m and 0.5 m from the transmitter, providing data from effective depth ranges of 1.5 m and 0.75 m respectively when positioned in the vertical dipole orientation, and 0.75 m and 0.375 m respectively when in the horizontal dipole orientation. The EM38-MK2-1 model includes one receiver coil only, at 1 m from the transmitter. New coil technology, supported by temperature compensation circuitry, markedly improves temperature-related drift characteristics as compared with the preceding generation of EM38 instruments. 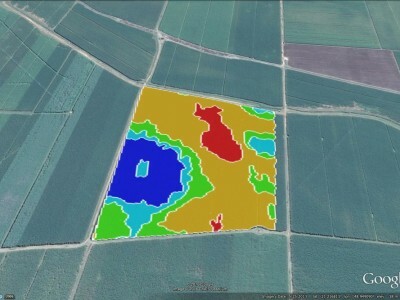 Farmacist is also currently trialling a number of other forms of mapping, including OptiRX sensors, pH mapping and Organic Matter mapping machines. If this technology is something you're interested in trialling on your farm, contact your nearest Farmacist representative.